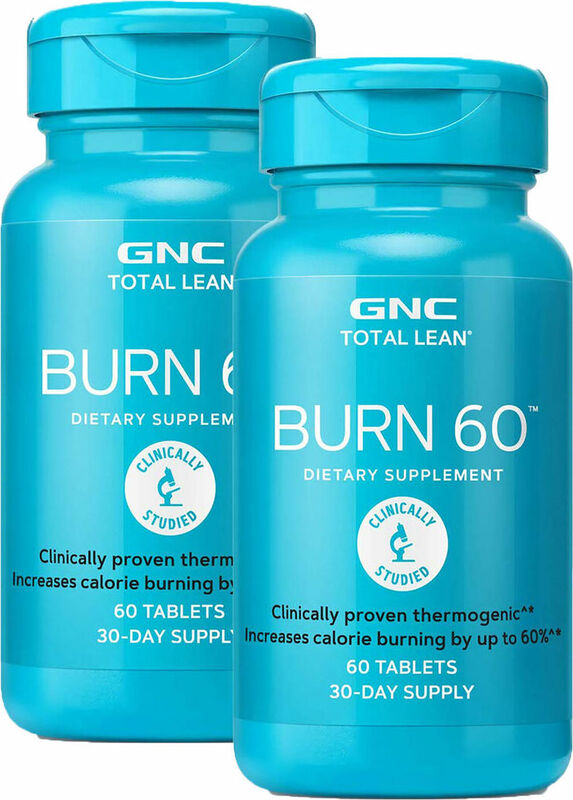 GNC Burn 60 is a clinically proven thermogenic formula that helps to enhance metabolism, burn calories and boost energy levels. * With its powerful ingredients, Burn 60 enhances cellular metabolic activity. 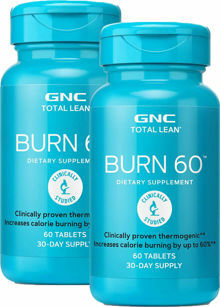 For best results, use the healthy diet and exercise program included with Burn 60. †Clinically proven to increase post workout calorie burning by up to 60% for up to one hour after a workout. This double-blind, placebo-controlled, cross-over study consisted of 22 healthy men and women. Participants exercised on a treadmill on two occasions. On one occasion, they took Burn 60 before exercise and on the second, they took the placebo. The amount of calories burned during the first post-exercise was measured, and participants burned up to 60% more calories while on Burn 60 compared to when they took the placebo.